The AP Transco has bagged prestigious Golden Peacock HR Excellence Award-2017 for its meritorious Human Resource Management. On behalf Of AP Transco, managing director of AP Genco and CMD of AP Transco K.Vijayanand received the national award from founder Art of Living Ravi Shankar, during the 11th International Conference on Corporate Social Responsibility held on Saturday at Bengaluru. The awards jury headed by former Chief Justice, Supreme Court Justice M.N. Venkatachaliah has selected APTransco. 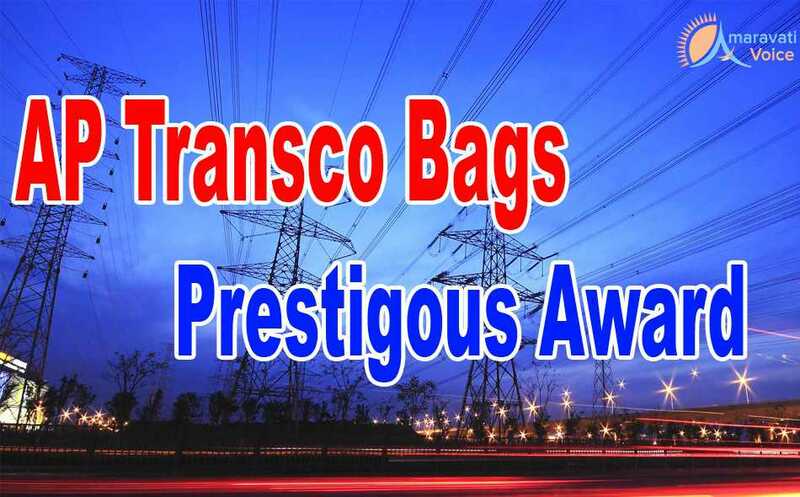 While thanking the jury for the award, Mr Vijayanand said that AP Transco has maintained one of the highest transmission availability of 99.95 %, and lowest transmission losses of 2.97%, in the country. For the first time, AP has achieved unique record of surplus power and can export around 500MW to 1000MW power to the other state utilities. In a special power-point presentation during the conference, joint managing director of AP Transco Dinesh Paruchuri elucidated that the state government has adopted a special plan to bail out the financial burden on the Discoms under Uday scheme.